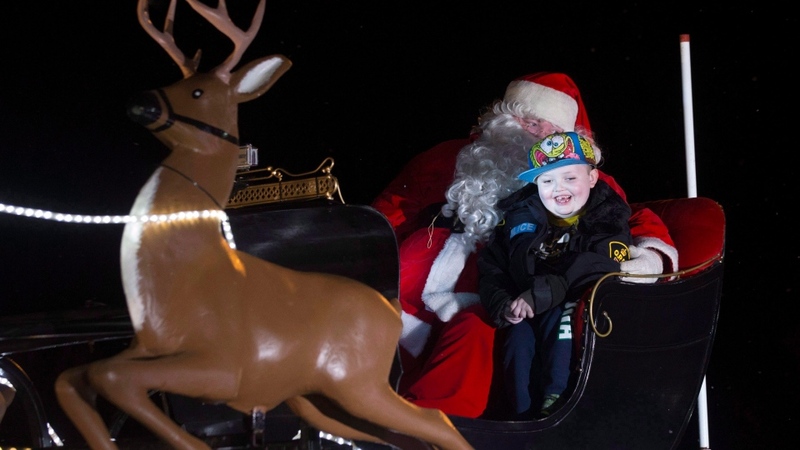 In October 2015, people in the small southwestern Ontario town of St. George rallied together to throw an elaborate Christmas parade for a seven-year-old with an inoperable brain tumour who wanted to celebrate his favourite holiday one last time. But although Evan Leversage tragically died on Dec. 6 of that year, just weeks before Christmas, his story did not end there. In 2017, his mother received a surprising Facebook message from award-winning Indian filmmaker Srijit Mukherji. “Uma,” a Bengali-language film that tells the story of a young girl’s dying wish to see an important Hindu religious festival, was released in June. At Mukherji’s invitation, Wellwood travelled to Kolkata for the premier. Mukherji also travelled all the way from India to St. George to present a special screening of the film Thursday night. “To be able to share this film and bring it back to St. George to a community that rallied together to give Evan such happiness is absolutely going to be a night I can’t forget,” Wellwood said. “Uma” will be screened in several other Canadian cities in the coming weeks as well, including a July 21 showing in Calgary and one on July 28 in Mississauga, Ont.